In only 6 days, your skin will appear regenerated. Reduce the signs of aging with 4G Plant Source Cells from echinacea! This anti-aging day skincare is targeted to women over 40 for a daily use. It can be used as a cure for women in their thirties. 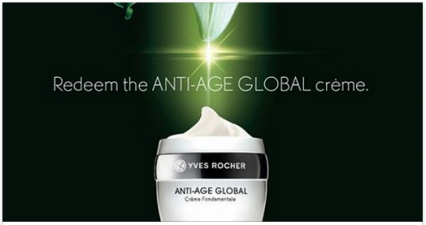 Flash your Facebook email offer notification and redeem your free trial for ANTI-AGE GLOBAL creme 15ml.